National Rural Health Mission (NRHM) scam of Uttar Pradesh claim 6th life in UP when Mahendra Sharma, a Health Department clerk, was found dead in Lakhimpur Kheri on Thursday (Feb 16). Sharma, who was suspended allegedly after he refused to sign some files, was missing since February 7. The police are waiting for the postmortem report to determine whether it is a suicide or murder. This is the Sixth mysterious death related to the scam with the suicide of a key accused and murder of two Chief Medical Officers (CMO) and a Deputy CMO, who was found dead inside the jail hospital. Condemning the death, BJP demanded CBI security for all the eye witnesses into the scam. This is the fifth death related to the Rs 5,000 crore NRHM scam in UP. Two Chief Medical Officers (CMO) posted at Lucknow have been murdered, and a Deputy CMO was found dead inside the Lucknow jail hospital under mysterious circumstances. The CAG, in its recent report, has also strongly indicted the state’s health and family welfare department, middlemen and contractors for allegedly siphoning off Rs 5,700 crore of the Rs 8,657 crore released between 2005 and 2011 under the NRHM scheme. 1. Dr. Vinod Arya: Chief Medical Officer(Family welfare), was murdered in Lucknow on 20th October 2011. 2. Dr. BP Singh: He took charge as CMO(Family welfare) in february 2011, but on 2nd April 2011, he was killed in same way as Dr. Vinod arya. 3. Dr. YS Sachan: He was deputy CMO, died in mysterious circumstances in hospital of Lucknow central jail in June 2011. 4. Sunil Verma: A key scam accused, Verma was an NRHM Project Manager, He shoot himself at his Lucknow residence in January 2012. 5. 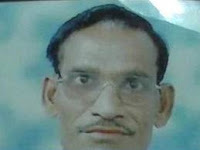 Shailesh Yadav: The varanasi Deputy CMO died in road accident in varanasi on 10th February 2012.